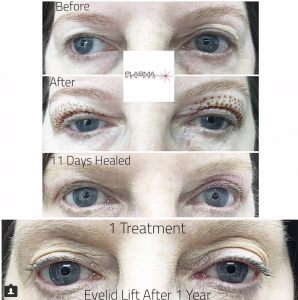 NEW YORK, NEW YORK, UNITED STATES, November 7, 2018 /EINPresswire.com/ -- The idea of getting a safe, non-surgical, beauty treatment done that can visually help someone appear significantly younger or remove skin marks, tags, or blemishes is quite appealing to a great many people, for obvious reasons. Especially when the technology is new to the beauty industry and being talked about passionately by those who have received the treatments. 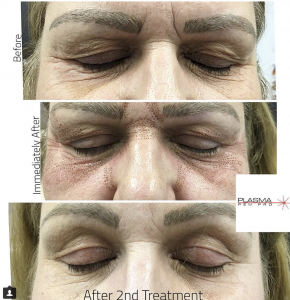 In exciting news, global leaders in Plasma Fibroblast Pen training Plasma Pen Pro (PPP), have celebrated their success in offering training and certification classes that are both easy to learn and affordable. Students have responded with passion. 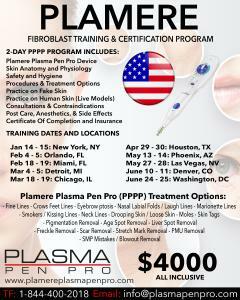 Plasma Pen Pro (PPP) Offering Training And Certification In Plasma Fibroblast Treatments Using The Plamere Plasma Pen.